Trick or treat: what to do with leftover Halloween goodies. Aussie kids are now fully immersed in the Halloween trick or treat phenomenon, so it only makes sense that we teach you about the great American tradition of Halloween Bark. 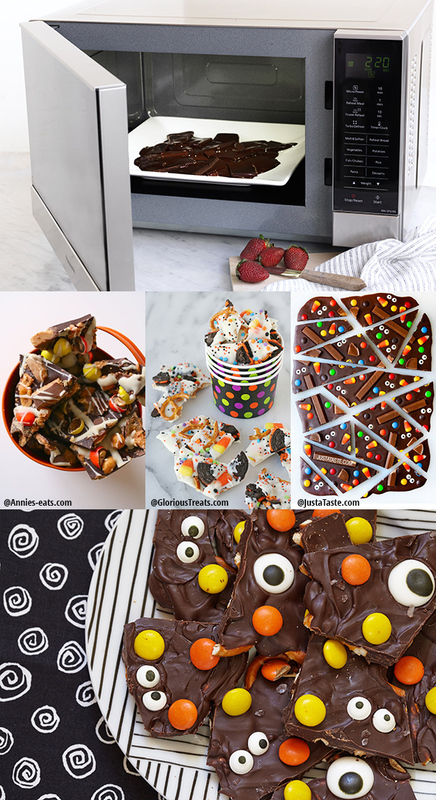 Much like Rocky Road, Halloween Bark is really just yummy treats placed in a pan and covered in melted chocolate. In this case, you simply use whatever treats the kids can’t eat from their Halloween haul. The hardest part is usually melting the chocolate but our Panasonic microwaves with Inverter technology heat evenly so that you’ll get the perfect chocolate melt in a flash! Roughly chop leftover Halloween treats. Arrange in baking paper-lined tray. Drizzle the melted chocolate over the mixture, spreading with spatula to coat evenly. Refrigerate until set, and then break into pieces to serve. Made using the Panasonic Microwave Oven NN-SF574SQPQ: http://www.panasonic.com/au/consumer/household/microwave-ovens/microwave-only/nn-sf574s.html.